Pierre is a relatively well-known roulette player who has written numerous books, including but not limited to roulette. His material is written in German, which can be translated bit by bit using Google’s translation tool. I used character recognition software (OCR) that converts scanned images into text, which is then easy to translate. The translations aren’t perfect, but are good enough to understand what he is saying. His earlier book simply has nothing beyond traditional advantage play methods. I recently ordered his latest book, only to find it is mostly just repeated material from his earlier books. I found it interesting that he mentions me and claims although my techniques work, they are expensive. Firstly, he judges based on a free document of mine explaining the absolute basics of what I teach (contact me for a free copy of what he’s talking about). I assume he only wanted to attack his competition and boost his business. Secondly, Pierre has never dealt with me, and clearly knows nothing about what I teach. I also find it interesting that much the same techniques he charges thousands of dollars to teach in person are taught by myself for free merely as a thankyou to people who attend my public seminars where I demonstrate my roulette computer technology. 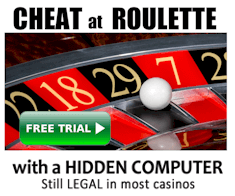 One of the major references he has to me is he says my claims of accuacy for my hybrid roulette computer (https://www.hybridroulettecomputer.com) are not possible. He appears to be somewhat uneducated on the matter. I thoroughly addressed his claims at https://www.rouletteforum.cc/index.php?topic=7891.new#new – whether or not he now corrects himself and apologizes is up to him. Nevertheless, I’ll stick to reviewing his methods: it is much the same as Laurence Scott’s material in the sense that the methods are inappropriate for modern casino conditions. Pierre is now approximately 60 years old, with his methods not far behind. 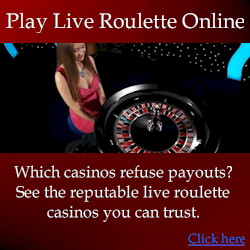 There is nothing Pierre teaches that I don’t teach, and overall his material is merely the basics of beating roulette. If you have a choice between Laurence’s or Pierre’s material, you are better off to choose Laurence’s material because it is much the same material, without the need to translate over 100 pages. However, Pierre’s material is marginally more extensive (his latest book), and with better illustrations. VERDICT: Pierre Basieux’s techniques work, at home, or 20 years ago. He has an undeserved good reputation, and I’ve never learned anything new from his material. His latest book is just under US$100 but I suggest don’t waste your money – the valuable parts of what he teaches can be summarized into a few paragraphs, and you can learn them free at the popular roulette forums like vlsroulette.com, or for free if you attend one of my free seminars. Certainly don’t bother wasting thousands of dollars for his in-person tuition. Some of the material he presents is actually incomplete, and he misunderstands some concepts. If you read German well, and want to see different explanations of traditional “advantage play” techniques, then his latest book is worth a read. If you are one of my players (genuinewinner.com), there is nothing new you will learn from Pierre’s material.